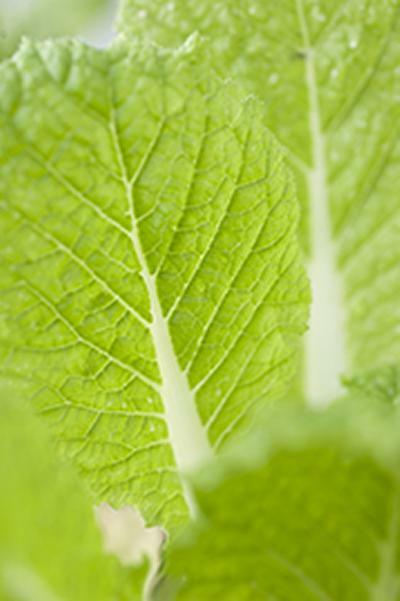 In three independent studies, scientists from the Universities of Southampton and Cambridge have identified how a simple chemical called nitrate, found in leafy green vegetables, can help thin blood ensuring oxygen can be delivered to all corners of the body efficiently. Reducing the thickness of blood may also decrease instances of dangerous clots forming and reduce the risk of stroke and heart attacks. The same researchers, part-funded by the British Heart Foundation (BHF), also found nitrate can help the diseased heart to function more efficiently, help produce more of a compound that widens and opens blood vessels and help change bad white fat cells into good brown, fat-burning cells, which could combat obesity and reduce risk of type 2 diabetes. In the first (1) study published this week in the Journal of the Federation of American Societies for Experimental Biology, scientists have identified how eating more nitrate rich vegetables like spinach can reduce the production of a hormone, called erythropoietin, made by the kidneys and liver. This hormone determines how many red blood cells we have, thus affecting not only how much oxygen can be carried around our bodies but also how thick our blood is. In abundance, erythropoietin allows more red blood cells to be produced and when levels are low fewer red blood cells are made. Increasing the number of red blood cells is a natural response triggered by the shortage of oxygen e.g. at altitude, or in some heart diseases. However, producing too many blood cells can do more harm than good; leading to altitude sickness and death. Thickening of the blood due to hypoxia, oxygen starvation, is also a very common symptom in many cardiovascular diseases. This research shows eating more green vegetables could help alleviate some of the debilitating symptoms of damaged hearts. In cardiovascular diseases and at high altitude the blood often becomes very thick because the body is producing more red blood cells in an attempt to get more oxygen into the blood stream. Thick blood may carry more oxygen but is less able to pass through small blood vessels and therefore prevents tissues and organs from being supplied with the oxygen they need to function. The researchers, working with Xtreme Everest (2), which also involved researchers from the University of Southampton, have filmed this using a special camera, capturing blood flowing through capillaries at sea level and at 6400 meters above sea level: here. The findings from this new work indicate people may be able to alter the thickness of their blood through simple changes in their diet. This has important implications in management of some cardiovascular diseases (3) and in altitude related diseases (4). Sufferers may be able to improve their quality of life through simply introducing more nitrate rich vegetables into their diet. This research may also help critically ill patients in intensive care units use oxygen more efficiently, speeding their recovery, and also has important ramifications for improving athletes’ performance. This research was also part-funded by Research Councils UK, The WYNG Foundation, EU framework 7 inheritance project, and the Wellcome Trust. A second paper (5), led by Dr Murray, part-funded by the BHF and published in The Journal of Physiology, shows that consuming nitrate with the diet, consistent with eating a few more leafy greens or beetroot, could alleviate the symptoms of a large number of different heart and circulatory diseases by protecting vital proteins in heart cells and by increasing the production of a compound that causes blood vessels to widen, allowing the heart to pump more efficiently. This work was primarily funded by the BHF, but also part-funded by the Medical Research Council, Research Councils UK, Diabetes UK, EU Framework 7 Inheritance project, and the Wellcome Trust. In a third study, published in Diabetes (6), the researchers from both Cambridge and Southampton identified nitrate’s ability to stimulate conversion of white, or bad, fat cells into beige cells in a process called browning. Beige cells are more similar to ‘good’ brown fat cells and burn fat to produce heat. These data suggest simple changes in the diet could reduce the number of bad white fat cells we have, reducing the risk of obesity and type 2 diabetes. This work was also part funded by the Biotechnology and Biological Sciences Research Council and the Medical Research Council. Tom Ashmore, Bernadette O. Fernandez, Colin E. Evans, Yun Huang, Cristina Branco-Price, Julian L. Griffin, Randall S. Johnson, Martin Feelisch, and Andrew J. Murray (2014) Suppression of erythropoiesis by dietary nitrate FASEB j fj.14-263004; published ahead of print November 24. Cardiovascular diseases include: polycythemia, disease where the blood volume of red blood cells is too high; Cyanotic Heart Defect, a group of congenital heart defects where blood doesn’t become oxygenated because it bypasses the lungs and gets recirculated around the body. Altitude related conditions: Altitude sickness from ascending to high altitudes; chronic mountain sickness or Monges disease: caused by living above 2500 m causes thickening of the blood due to over production of red blood cells and uneven blood flow to the lungs.